Thinking about hosting a BBQ party? Spring is the perfect season for it. Warm weather, cool breeze and lots of hours of daylight. Yard not ready for guests? Then take 'em out in town to find the best BBQ in Boerne! You can always order to go and hit up the Pavilion Food Park & Event Center for a picnic style gathering. No matter which way you spell it... BBQ, Barbecue, Bar-B-Q or Bar-b-que. Smokey Mo's is serving up some darn good Bar-B-Q. This family barbecue business has been smokin' up lean brisket, tender, juicy chicken and turkey and of course hot delicious sausage. Add to that some mouth-waterin' hot buttered potatoes, refreshing coleslaw and corn on the cob... Then you've got yourself a meal. Klein Smokehaus and Deer Processing, formerly Farmers Meat Market, (same owner, just a new name) has been a staple in Boerne for a long time. While hunters bring in their own deer, it is also a place for those who just want excellent BBQ, sauce, brisket, sausage, beef, pork, deer and other meats. Fritze's offers pit-smoked brisket, turkey, sausage, and chicken with plenty of sides. The dining room is comfortable and has family-friendly seating. For those that prefer the outdoors there is a backyard garden for a picnic-like atmosphere. Casual, low n' slow, Texas style Bar B Q with upscale Southern side dishes. Daily Black Board Specials, cold beer and live music. Tell us in the comments where your favorite place for BBQ is! We'd love to know about more secret spots in Boerne! Looking for fun activities to enjoy on Easter Sunday with your family (beyond the obvious egg hunt)? Check out this mix of indoor and outdoor games and activities for kids of all ages. 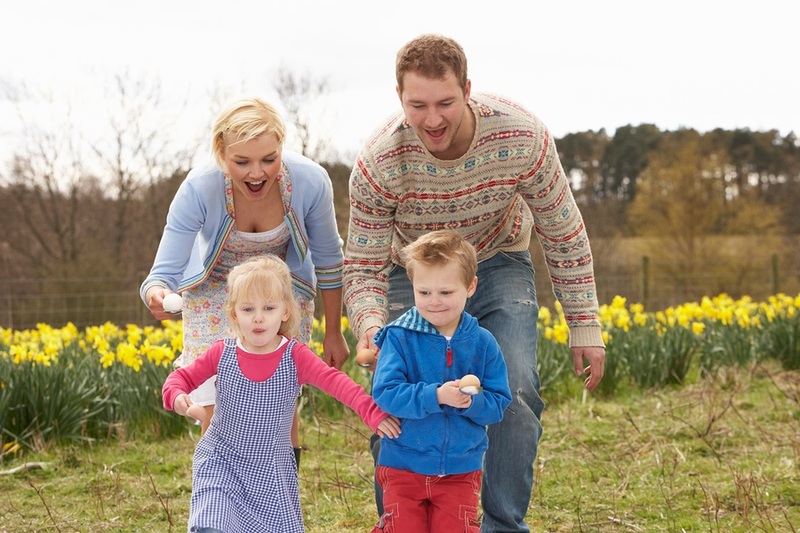 Try this good old-fashioned outdoor game after your Easter egg hunt is over! Egg and spoon races date back to the late 1800s. All you need are eggs (hard-boiled are the least messy) and metal or wooden spoons for each participant. Race individually or relay-style. Here's an easy indoor game for all ages! 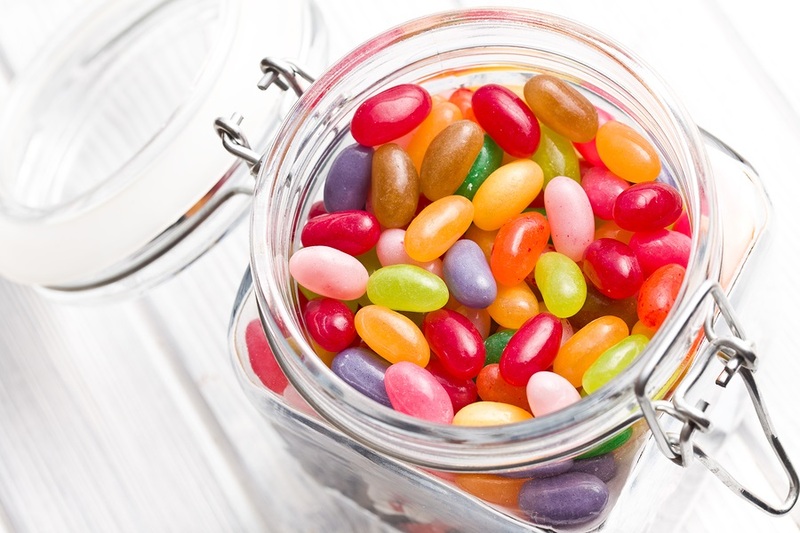 Simply fill a jar with jelly beans and ask each family member to guess how many candies there are. Winner (the closest without going over) takes all! Another jelly bean-themed game involves asking players to guess the correct flavor of fancy jelly beans they taste. Gather the kids and curl up with a good book, especially if Easter falls on a rainy day this year. Use our Book Finder tool to stock up on great children's books about Easter, bunnies, and spring. Easter symbolizes rebirth, so what better day to plant some tulips or daffodils with your budding gardener? Fall is technically the season to plant bulbs in most regions, but you can plant them indoors anytime of year, or buy flowers already in bloom and transplant them outdoors on Easter. Here's the perfect activity for kids experiencing Christmas tree withdrawal! 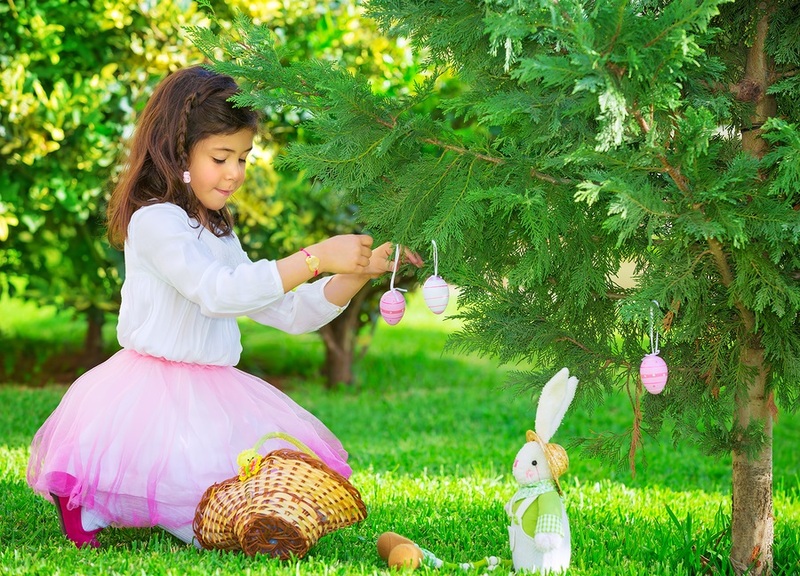 Decorate a tree (indoors or outside, depending on the weather) with plastic Easter eggs and any other spring decor (such as pastel ribbons or tissue paper flowers) for your holiday guests to admire. Put the kids in charge of making adorable decor for your Easter table, or fun bunny ears or creative Easter bonnets for all your guests to wear! Teach kids to perform a random act of kindness this Easter and put together a gift basket for an elderly relative or neighbor. Get creative with the contents to make this a more fun and meaningful activity. For example, have the kids fill plastic Easter eggs with nice notes that say things like, "You're egg-cellent!" and "Sweetest neighbor ever." Involve your kids in the kitchen by making brunch or dessert items for your Easter feast. Keep things really easy, and buy biscuits or buns at your local bakery for your family to make into strawberry shortcake (by adding sliced berries and whipped cream) or hot cross buns (by marking with a cross in frosting) — two traditional favorites on Easter. Last but not least, observe the origins of the holiday by attending services at your family's church. 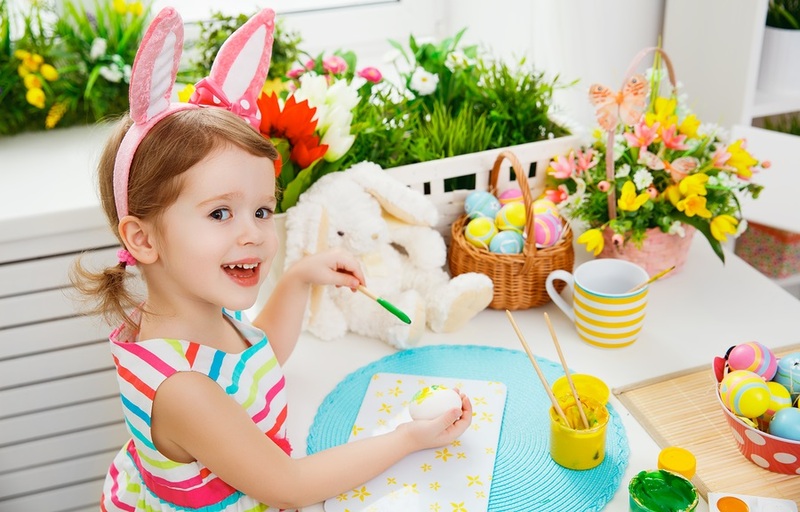 Easter is by far the busiest Sunday for church attendance, so arrive early with activities to keep the kids engaged, such as Easter-themed coloring pages and a fresh pack of crayons (psst — perhaps the Easter bunny might bring some?!). Visit Award-Winning Hill Country Mile! When planning your next Texas Hill Country adventure, a stroll down the award-winning Hill Country Mile is a must. The Texas Chapter of the American Planning Association announced its 2019 Great Places in Texas designees last week, and Boerne’s Hill Country Mile was recognized as a “Great Street in Texas”. This award exemplifies exceptional character and highlights the role city planners and careful planning play in creating communities of lasting value. Boerne’s Hill Country Mile is the 1.1 “Texas” mile stretch of historic buildings in Boerne’s downtown historic district and is home to numerous high-end boutiques, exceptional dining, colorful art galleries, public art and an urban trail system that allows the visitor to stroll along the Cibolo Creek and through Boerne’s downtown River Road Park. Boerne’s “Main Attraction”, The Hill Country Mile is a gathering place for tourists and locals alike. The Mile offers art galleries, unique shopping, and fine dining in a historic setting that, over time, has developed into one of Texas’ great streets. The history, the arts and the charm, along with Boerne’s diverse ethnic history, make it one of the true destinations to visit in the state. “Boerne continues to be recognized as one of the iconic Texas Hill Country destinations. Our diverse history and modern offerings lend our tourists and locals alike the opportunity to enjoy Boerne. Our numerous outdoor activities and parks, visual and performing arts, exceptional culinary opportunities and simple charm make Boerne a true gateway to the hill country” – Larry Woods, Convention and Visitors Bureau Director. The Boerne Convention and Visitors Bureau is looking forward to opening its brand-new Visitor Center at 282 N. Main St., on the Hill Country Mile, to greet out of town guests later this month. Through Great Places in Texas, the Texas Chapter of APA recognizes unique and authentic characteristics found in three essential components of all communities — streets, neighborhoods, and public spaces. APA Great Places offer better choices for where and how people work and live every day, places that are enjoyable, safe, and desirable. Such places are defined by many characteristics, including architectural features, accessibility, functionality, and community involvement. This year marks the third year of the Great Places in Texas program, which is modeled from the American Planning Association’s ongoing Great Places in America program. Great Space designees met in Austin on April 1 to accept their awards as part of the American Planning Association’s Planners’ Day at the State Capitol. For more information about the 2019 Great Places in Texas, as well as a list of the Great Places in America designees located in the state, visit www.greatplacesintexas.com. Boerne’s public art program will add two sculptures to its permanent collection from the most recent Art al Fresco exhibition. These additions continue the City’s five-year plan to grow Boerne’s public art collection and are a part of Boerne’s Art al Fresco program, a temporary outdoor “art on loan” competition of large-scale sculptures displayed around Boerne’s Hill Country Mile and trails. “Tilt” by Wesley Stolusky of Kaufman, Texas, was also selected for Boerne’s permanent collection. It will remain in its place at the Old No. 9 trailhead at East Blanco Rd. Made of steel, “Tilt” catches the eye for its ability to balance despite its topsy-turvy appearance. For more details on Boerne’s Art al Fresco, visit www.artalfresco.org. Join the conversation by following Art al Fresco on Facebook and Instagram. Posted in Boerne Attractions, What's So Great about the Texas Hill Country? It's Time to Dine Outside! Spring is in the air, and that means it’s time to find yourself a patio to sit and enjoy some good food and drink. Luckily, there are plenty of places in Boerne where you can do exactly that. Check out the list below for some of the best patios in town! The Boerne Wine Company is housed in a building originally built in 1866. The unique establishment features a humidor for cigar enthusiasts as well as fine wines from around the world. Throughout the Boerne Wine Company are Enomatic wine preservation systems, which are essentially wine dispensers. You can try whatever you like from the dispensers and pay for a small sample, partial glass, or full glass. Once you settle on a glass of wine, venture to the patio outside. It’s especially great on a cool day where you can take advantage of the wood burning fireplace. Order a handmade pizza or a snack from their tapas menu. This family owned and operated brewpub provides locally sourced, farm fresh food and beers brewed onsite. At Cibolo Creek Brewing Co., you can almost always find the local favorite Boerne Blonde on tap, along with a wheat beer, an IPA, and various other small batch ales. The patio presents the perfect family friendly environment for conversation and fun with plenty of seating, yard games like Giant Jenga and Giant Connect Four, and a small stage for artists to perform. If you want to feel like you’re actually on the Cibolo Creek while you’re eating, then The Creek Restaurant is about as close as you’ll get. The beautiful deck overlooks the lawn into the creek. The overall feeling created is one of elegance and coziness. Oh, and the food is delicious too. Whether you’re looking for a good lunch or the perfect dinner date spot, you can’t go wrong here. Whether you’re looking for tasty food or great craft beer, you’re sure to find it at the Dodging Duck Brewhaus. With menu items ranging from Bandera Quail Kabobs to Spam Burgers and five rotating taps delivering beer brewed onsite, Dodging Duck has been a Boerne favorite since 2002. The patio features a covered area with fans and heaters, a small stage for live music, and tables set up in the yard… all of which overlook River Road Park and the Cibolo Creek. Tucked away in the middle of Historic Downtown Boerne’s Hill Country Mile, this traditional German biergarten is the perfect place to sit outside, have a brew, and take in some local live music. Drink Texas Biergarten is comfortable and casual. Visit in the evening when the lights come on to get the full effect! Find more fun outdoor dining spaces at VisitBoerne.org! Spring has sprung in the Texas hill country and the markets are showing some recovery from the relative lackluster first quarter. Boerne displaces Kerrville this month in terms of home value increase during the previous 12 months at 9.76% (1.74% in the past month). Kerrville is hanging on to the second highest increase in these 12 month metrics (8.83%). Note that the change in estimated home values from last month to this month has tempered to a relatively flat 0.05% indicating that this market may be coming into line with those in our other service areas. Comfort: 6.00% (1.69% in the past month). Reminder that this is our smallest market that is influenced by low inventory and volatile month to month sales volume. Note: Statistics include Single Family homes, lots, and farm and ranch sales. More insightful statistics and data in the market reports covering our Texas hill country market at the links below. Please Contact me with questions you may have about the information in these reports, to preview any highlighted available properties, or to discuss marketing strategies for your property. Beautiful corner lot home located in Boerne with NO HOA! Large Corner lot .177 acres with covered back patio for entertaining. Recently painted, hardwood floors, repainted cabinets, granite countertops, stainless appliances, and spacious upstairs family room. 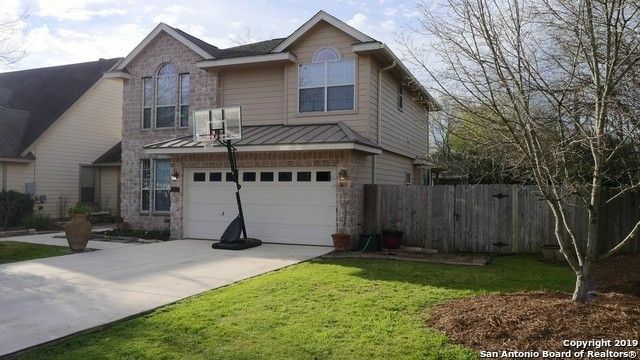 3 Bed/2.5 bath is located within walking distance to Boerne High School, Currington Elementary, skate park, soccer fields, and YMCA. Centrally located to downtown and all the best schools in town! Come check out this awesome home! The median list price in Boerne is $448,000. The median list price in Boerne went up 2% from March to April. Boerne's home resale inventories is 455, which increased 9 percent since March 2019. The median list price per square foot in Boerne is $159. March 2019 was $158. Distressed properties such as foreclosures and short sales remained the same as a percentage of the total market in April. Boerne City Lake Park provides a wonderful recreation area for swimming, fishing and non-motorized boating. The park has picnic areas with grills next to the lake, a boat ramp and parking lot, courtesy dock, fishing pier, volleyball court, covered pavilion, playground, butterfly garden, bird observation blind, restrooms and a Frisbee golf course. Boerne City Lake is about 189 acres. Check out Hill Country Paddle Sports for additional fun on the water! So much more than a nature center! Open to the public since Earth Day 1990, the 100 acres of Hill Country trails and wilderness provides education, research, entertainment and outdoor activities for more than 100,000 visitors a year, while promoting sound stewardship of land, water and wildlife. It is also available for weddings and meetings of 100 to 150 people. Fishing on Cibolo Creek at the Nature Center is catch and release. Hunting is not permitted. With four miles of river frontage, the Guadalupe River takes center stage at the park. Step away from the river to find the more peaceful areas. On the river, you can swim, fish, tube and canoe. While on land, you can camp, hike, ride mountain bikes or horses, picnic, geocache, and bird watch. The park will loan fishing gear for use in the park. Hunting is not permitted. The 1,938-acre Guadalupe River State Park and the adjoining 2,294-acre Honey Creek State Natural Area (Guided tours available every Saturday) comprise more than 4,200 contiguous acres of Hill Country habitat. The 103-acre Northrup Park offers a variety of amenities including: Concession stands, Covered basketball court, Covered playground unit, Horseshoe pit, Picnic units with grills, Public restrooms, Sand volleyball courts, T-ball fields, Youth baseball field, Girls softball fields, Adult softball fields. The park is located on the banks of the Cibolo Creek and is home to numerous varieties of turtles, fish, ducks and geese. The Cibolo Trail meanders through this linear park. One of the unique features of River Road Park is the dam located at the east end of the park. The park is a popular location for picnics and fishing. Public restrooms, drinking fountain and picnic tables are located in the park for public use. Check out what's happening around Boerne for the next two weeks! Tell us what you're most interested in in the comments! We'd love to hear from you! The Ukulele Orchestra of Great Britain is a global sensation and nothing short of a UK national treasure. Their show provides pure entertainment, dead-pan British humour and irresistible foot-tapping music. Masters of the unexpected: whether re-imagining folk songs, twisting classical music, or playing the performers’ all-original compositions. Boerne Community Theatre: "My Fair Lady"
Come join in on this community event celebrating the changing seasons. Come explore the Historical Homestead, Teaching Gardens, and Farmers Market. Enjoy children's activities, adult workshops, local food and artisans, and much more. Come see what's growing at the Herff Farm. A exhibition of the finest Italian motoring in the heart of the beautiful Texas Hill Country - Boerne, TX! Blending a vibrant fusion of the classic American sounds of jazz, swing, and Dixieland, with the energy and spirit of contemporary culture, Big Bad Voodoo Daddy reminds us that it is cool to swing! Your ticket will include event entry, a commemorative sampling stein, 10 sample tickets, entertainment and fun! Additional sampling tickets will be available at the event. Proceeds will benefit local art organizations! Food vendors will also be available at this event. Find more local events here. Plan the Perfect Day Trip with Your Partner! With a population of just over 3,000, Comfort is a historic town that offers fabulous shopping, delectable dining, and attractive scenery. It’s quiet, it’s quaint, it’s unincorporated – and they like it that way! Comfort is the home of three wineries – Singing Water, Bending Branch, and Newsom Vineyards – all with beautiful tasting rooms, and some even offer live music entertainment. Comfort also boasts the Hill Country Distillery! Explore one of their serene public parks including Joshua Springs Park and Preserve or James Kiehl Riverbend Park. This town exudes romance! While Kendalia is small, it offers big Texas fun! Established in 1903, Kendalia Halle was built to be a place for travelers by wagon to stop, regroup and enjoy food, fellowship, entertainment, plays and of course - dancing! One Saturday night out of every month of the year, Kendalia Halle hosts a live band for plenty of two steppin’! These are musical, family-friendly events that are accompanied by a yummy BBQ service suitable for a good, ol’ fashioned Texas experience. Kendalia Halle is also available to rent for your next private event! Another great stop in this small town is the Kendalia General Store – a community favorite. Delicious burgers, keepsakes you’ll treasure, and friendly hospitality are what’s in store for you in this downhome, country atmosphere! About 15 minutes northeast of Boerne sits Bergheim, TX. The Roundup Outdoor Music Venue is a popular spot for enjoying live music, food trucks, an ice-cold drink and family fun. They typically host one big name per month – some recent names include LeAnn Rimes, John Conlee, and the Eli Young Band. Bergheim Campground and River Outfitters allows adventure seekers to rent kayaks and tubes to explore the Guadalupe River in the warmer months, and you can grab a bite to eat at O’Brien’s once that activity works up your appetite! Steaks, seafood, and German-style dishes help to make up a menu full of your favorite comfort foods. Waring sits off the beaten path in a pocket of the Hill Country just before you hit Comfort. Sink your teeth into a yummy burger at Waring Country Store, and then browse through an eclectic selection of antiques while you’re there! There is also an entry/exit point in close proximity to the Waring Country Store along the Guadalupe River for anyone who is tubing or kayaking. This would be a great lunchtime spot for tubers and even those who enjoy a scenic Hill Country bike ride (motorcycles or bicycles)! Nelson City is significantly smaller than your average city! It is home to the beloved Don Strange Ranch which holds a festive Christmas Light special event each year (keep an eye out for that in November and December). Check out the Alpine Tower and Zip Line on this beautiful longhorn ranch; great views of the Hill Country can be seen when you venture out on this obstacle course! Be sure to stop at Po Po Restaurant to see the HUNDREDS (yes, literally hundreds) of plates hung neatly on the walls. You’ll love their down-home country, comfort-food menu and friendly service! Just a few minutes to the north on the outskirts of Boerne is Sisterdale, TX. Although it is tiny at first glance, it has much to offer in taste and history for those who choose to venture here! Long ago, Sisterdale was home to nothing more than a cotton gin, a dance hall, a school house, a post office, and a grocery store. Today, the cotton gin, dance halle and schoolhouse still stand. The old cotton gin is now the residence of Sister Creek Vineyards, an award-winning winery. The dance halle is more than a century old. Early European settlers made the Sisterdale Dance Hall their gathering place by night after a hard day's work to earn life's essentials! It is now used as a venue for private weddings and parties – a truly historic gem! Stop in to BlackBoard Bar B Q for a Texas barbecue experience you won’t be able to forget. Their Wagyu Burger and Luckenbach Lollipops are rich in taste and pack LOTS of flavor! Leave us a comment and tell us your favorite place to get away for a day with your loved ones! What's So Great about the Texas Hill Country?